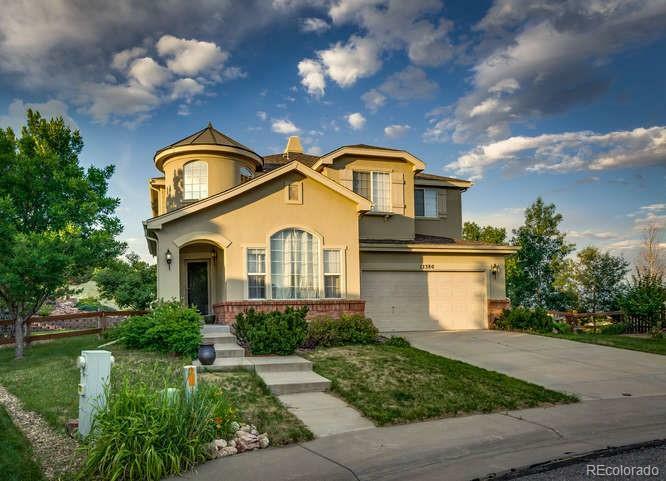 Fabulous home situated in highly sought after Castle Pines North. Located on a quiet cul-de-sac, which backs to open space. Wonderful hill for sledding with kids or waling year-round. Ideal for active family. Dramatic entry to welcome you into an open and light floor plan. Upgraded granite island & countertops. New carpet downstairs. Refurbished hardwoods on main level. Outdoor speakers. Spacious master bedroom. Living room can be an open and bright study. Walk to Coyote Ridge park. Minutes from Rocky Heights M.S & Rock Canyon H.S. This home is an attractive price point in a fantastic neighborhood. There is the need for new carpet upstairs and paint throughout, which at this price point allows for you put your personal touches on a home that has so much to offer. Association Name Primary North Lynx Homeowners Associaton Inc.